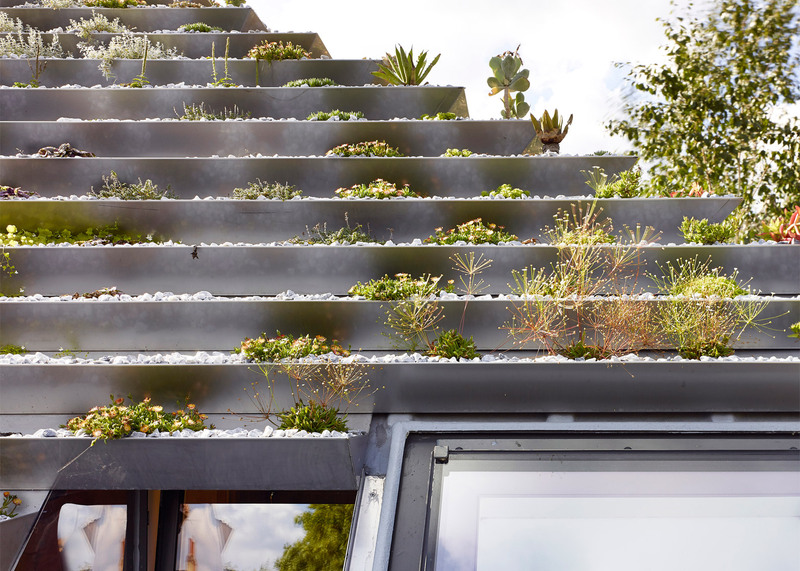 Architecture studio Hayhurst and Co has built a home and studio for leading leather-design duo Whitaker Malem, featuring a steeply stepped roof covered in over 800 plants (+ slideshow). 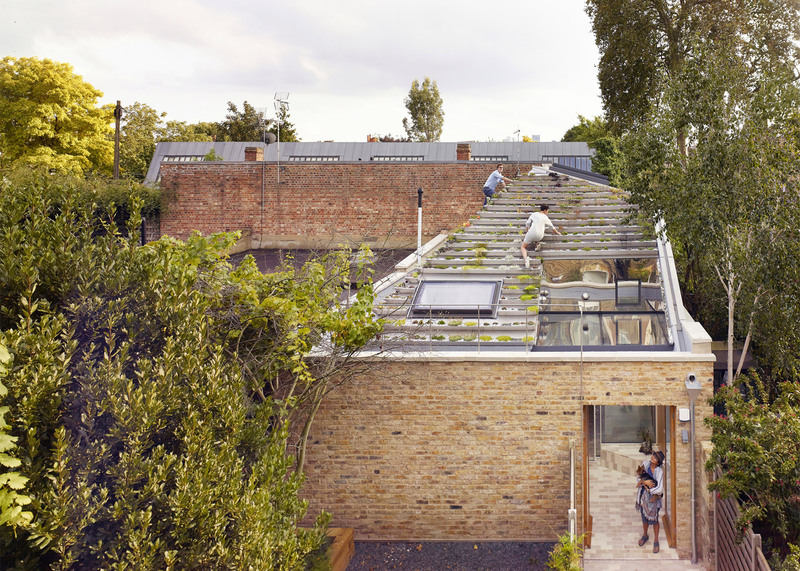 Called Garden House, the two-storey residence is located in the De Beauvoir area of London's Hackney and is one of 20 houses vying for this year's RIBA House of the Year award. The building takes its name from its unusual roof. Described by London-based Hayhurst and Co as a "hanging-basket roof", this tiered structure is a pyramid-like tower of planters containing sedums and heathers. This provides the clients with a garden they can easily maintain. 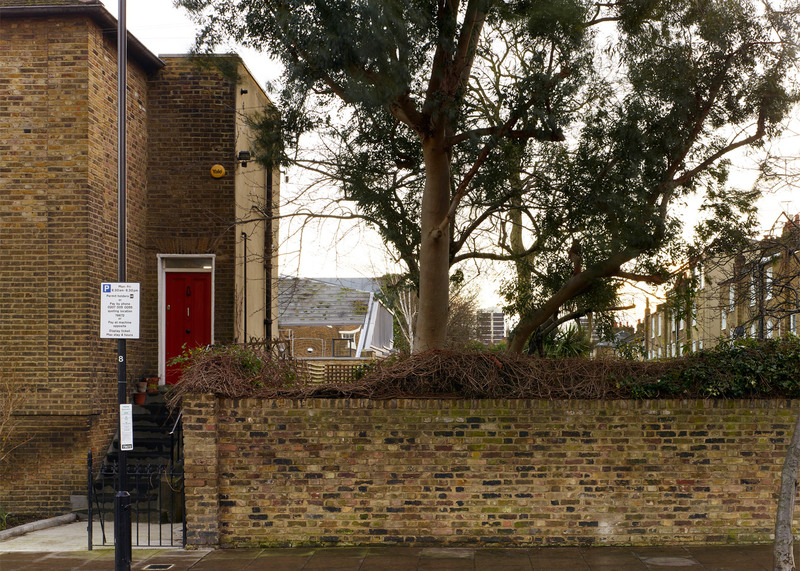 Its sloping profile also echoes the form of neighbouring buildings, which helped the project win planning permission. "Our brief was for a versatile space that might even be used for small exhibitions of our work as well as being a home and studio," explained clients Patrick Whitaker and Keir Malem. 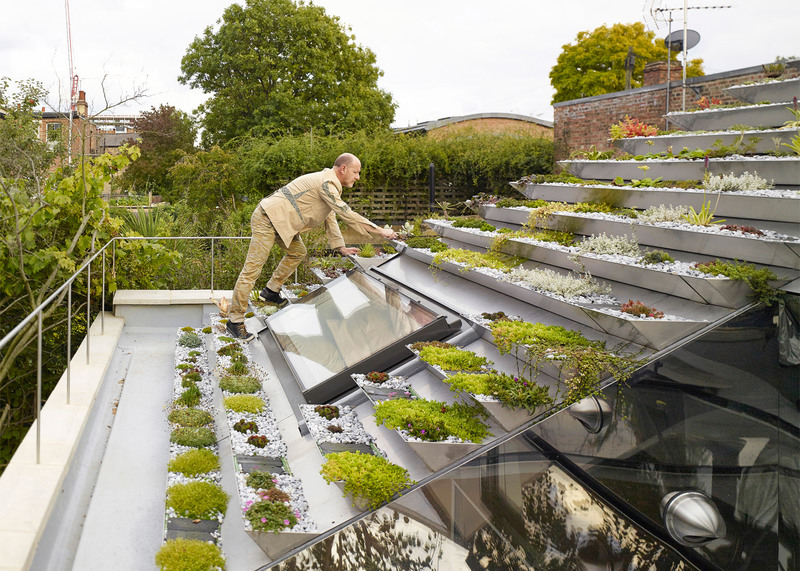 "When a green roof was suggested as a way to help us get the [design] through planning, our immediate reaction was that we would only have a green roof that we could really garden," they said. The duo – best known for creating costumes for movies including The Dark Knight and the Harry Potter series – originally built a single-storey workshop on the site in the 1990s. The new property replaces this structure, which had fallen into disrepair. 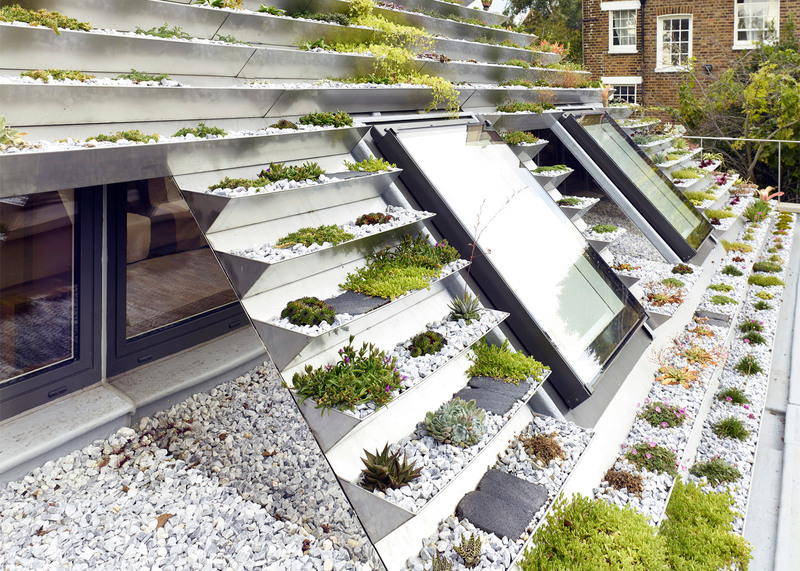 To create the sculptural roof, architects Jonathan Nicholls and Nick Hayhurst mounted a series of V-shaped, stainless-steel trays onto the 30- and 45-degree pitched roofs. The plants set into these trays are surrounded with pale pebbles, intended to replicate the seaside character of Dungeness – a place where Whitaker and Malem have a second home. 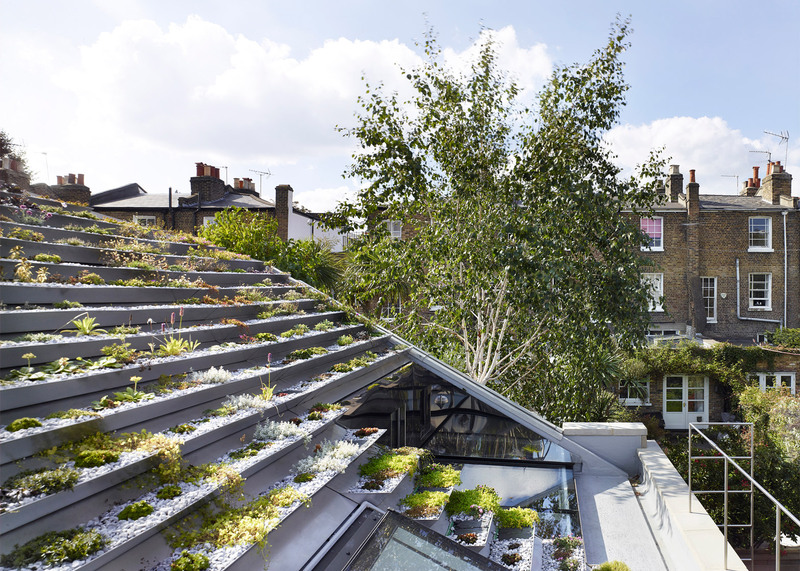 "The 'hanging' garden creates a unique and accessible roofscape," said Nicholls and Hayhurst. "It creates a new and dramatic insertion into London's urban landscape." The plot is landlocked, with other properties on all four sides. 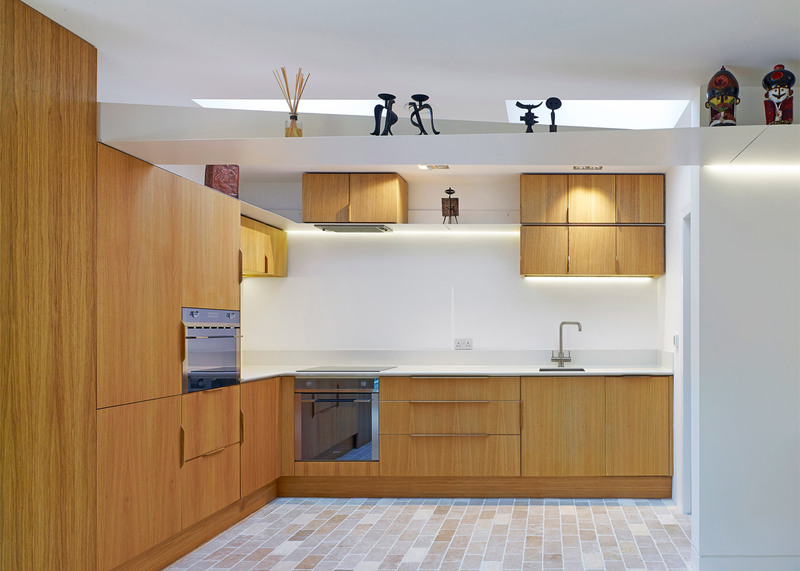 This made it difficult to insert many windows, so skylights provide the majority of daylight for the interior. The ground floor of the building contains the duo's living spaces. A bedroom, an open kitchen and a bathroom are lined up along one side, with the rest of the space left over for lounge and dining areas. A glazed entrance lobby – called the winter garden – provides an entrance to these spaces, which all feature tiled flooring reminiscent of paving stones. 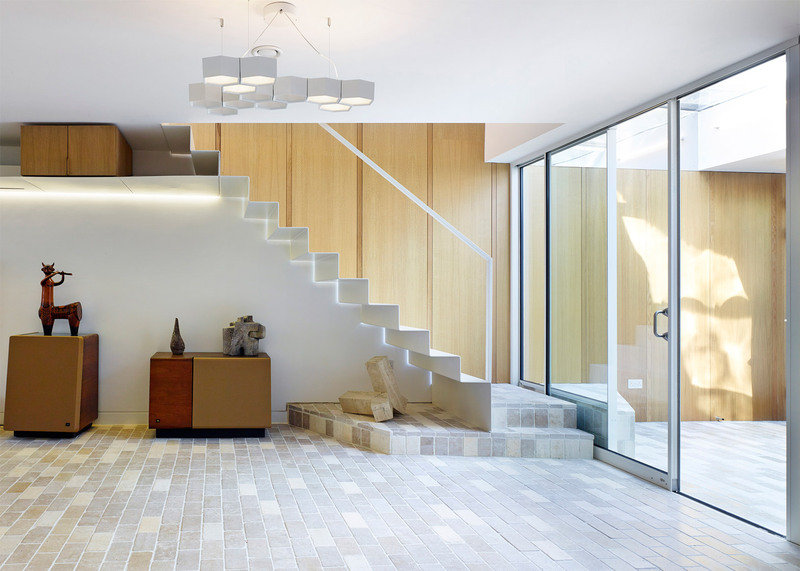 A folded steel staircase is located near the entrance, and also incorporates shelving for artworks. It leads up to the first-floor studio. This open-plan space is lined with oak panelling, and benefits from additional height provided by angled ceilings thanks to the roof structure. Containing built-in storage and desks, it can function as a workspace, a gallery or a fitting room for clients. "The project was developed from concept to detail as a design collaboration with the maker clients – a relationship which opened up a uniquely engaging making-based design process," added the architects. 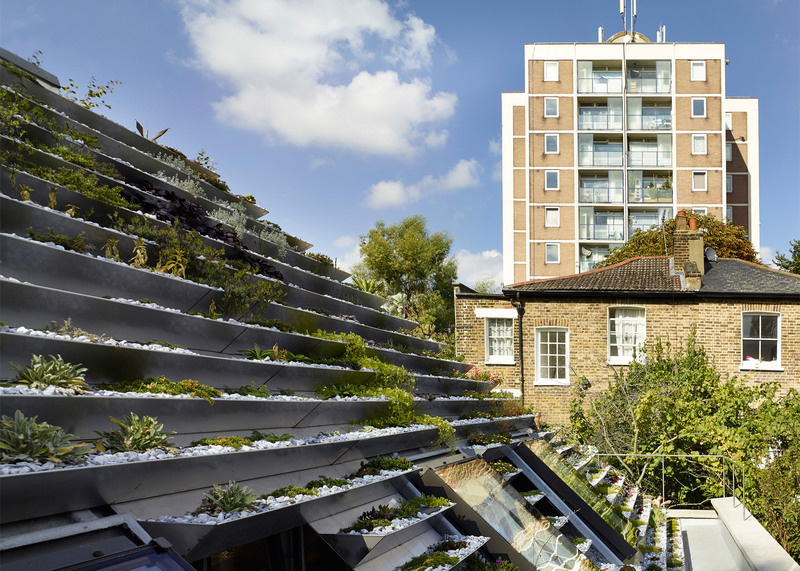 Garden House is the latest in a series of recent projects that explore new forms for the traditional roof garden. Other recent examples include a house in Vietnam with its roof divided up into stripes and a Dutch block with an undulating green roof.